Villa Ibo is located in the heart of St. James and within a short walk of The Sandy Lane beach, shops and fine dining restaurants. This secure gated community includes twenty-four-hour security and is looked after by our efficient management team. Private beach access is available at The Beach House and golf is also available at The Sandy Lane Golf Club. A communal club house is on property with the amenities of an exercise room and swimming pool for residents. The villa has an open plan layout, with French doors opening onto its private terrace and plunge pool encased by landscaped gardens. The finishes include hardwood doors and windows, tray ceilings, pickled pine, Italian kitchens with granite counter tops and luxury bathrooms with marble vanities. Villa Ibo is very easy to navigate, as it's a one storey villa. Entering the villa, you will immediately notice its clean-cut and fresh interior. Budding cooks will enjoy the granite finished countertops in an Italian styled kitchen, which is fully equipped with all the utensils needed to deliver a mouth-watering feast. The living and dining areas have been tastefully decorated with wicker furniture, which seems perfect for the beach holiday you and your guests will enjoy whilst exploring the islands many coves and pristine shores. The master bedroom includes a walk-in wardrobe and both bedrooms both have en-suite marble vanity bathrooms. Leave the French windows wide open and allow for a breeze to gently roll in from the neatly kept garden. 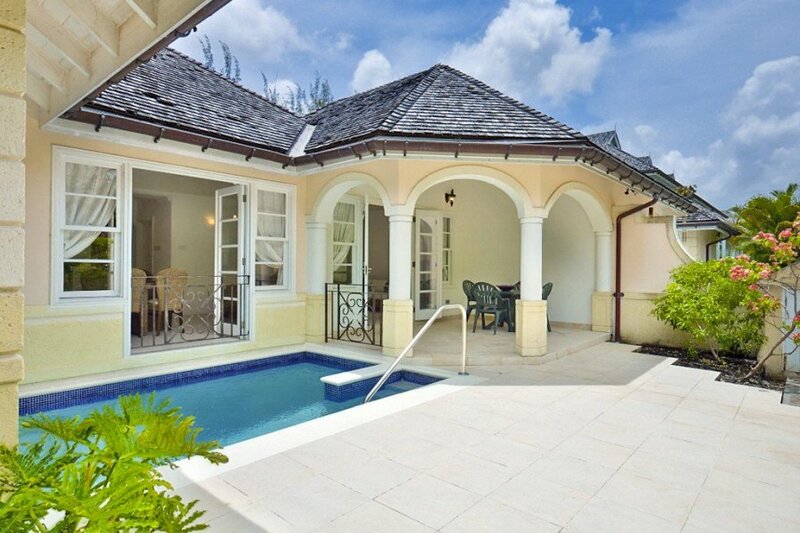 Perhaps even sink into the private plunge pool when it all gets a little too warm, in this Bajan paradise. Villa Ibo offers all and more for those who are looking for a safe and relaxed holiday in Barbados - private, quiet and secure in a central location with beaches, bars and restaurants within a few minutes' walk. Villa Ibo is a 2-bedroom villa, that has an open-plan living arrangement. Guests have the use of a private plunge pool and communal pool and gym facility.